Are you flying with kids to your vacation destination? Depending on their ages and which airline you have chosen, you may be able to board the plane early and get settled into your seats before the cattle call of coach passengers. Be aware that policies can vary on different air carriers. Some airlines invite families to board in front of everybody else while others allow families to slide in somewhere between elite passengers and regular coach-flying folk. Why don't all airlines offer the same policy? Airlines want to board passengers as quickly as possible but they also want to reward their elite flyers. In addition, airlines make money selling early boarding privileges directly to passengers. 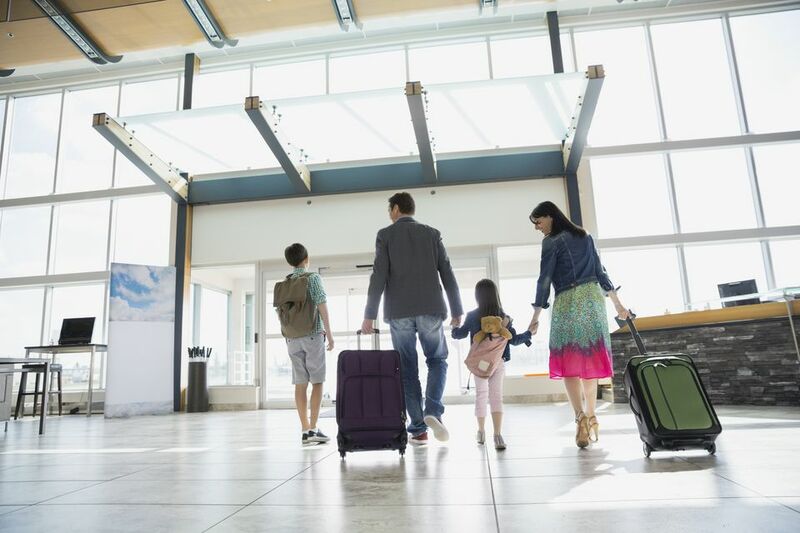 Even if your airline offers early family boarding, there are caveats. For some families, boarding first can backfire because it prolongs the length of time young kids are confined in their seats on the plane. Remember that once passengers are boarded, the plane still has to taxi on the runway and wait in a queue to take off. Boarding too early can mean your child is strapped in for up to 45 minutes before the plane is even in the air. To minimize the time a child is confined in an airplane seat, many families use this tried-and-tested trick: One parent boards early and gets the family's carry-on bags and other belongings stowed and child's car seat installed. Meanwhile, the other parent waits in the departure lounge with the child until the regular boarding time. This gives mobile babies and toddlers more time to move around before getting on the plane. One thing families no longer have to worry about is getting seated together, thanks to the passing of the Federal Aviation Administration reauthorization bill in July 2016, which requires airlines to seat families with children under age 13 together without forcing them to pay for premium seats. Alaska Airlines: Families with children under age 2 can board first, before first class and elite customers. American Airlines: Families with young kids can board before first class and elite members upon request only. The child's maximum age is at the discretion of the gate agent. Delta Air Lines: Families with strollers (to gate check) and car seats (to install on plane) can board before first class and elite members. Frontier Airlines: Families with children age 3 and under board after elite members and passengers who have paid for extra legroom, but before the rest of passengers. Hawaiian Airlines: Families with kids under age 2 can board before first class and elite members. JetBlue Airways: Families with children under age 2 board after elite members and passengers in premium seats, but before coach passengers. Southwest Airlines: One adult and a child age 6 and under may board during Family Boarding, which is after the "A'' group and before the "B'' group. Spirit Airlines: Families can board after passengers who paid extra to board early and those who paid for overhead bin space for a carry-on bag. United Airlines: Families with kids age 2 and under can board before first class and elite members. Virgin America: Families with young children can board before regular coach passengers, but after all other premium categories. (These include first class passengers, passengers who paid for extra legroom and early boarding, those with elite status, and those with a Virgin America credit card.) Families do get to board before other coach passengers.